Wednesday's classic smash and grab has left Arsenal sitting somewhat pretty in their European group; a win from both Arsenal and Dortmund on Matchday 4 will see both clubs through to the Round of 16 with two games to spare. That's nice. Arsenal's only realistic shot at winning the group at that point would be to beat Dortmund on Matchday 5 by a large enough margin to claim the tiebreaker. Honestly, right about now, that sounds nearly impossible, but we'll cross that bridge if we come to it. Back to domestic matters and Arsenal have just two wins from eight Premier League matches. Their opponent on Saturday, Sunderland, is coming off an eight goal loss. The atmosphere is going to be pretty tense. Arsenal have to do everything they can to keep the good times flowing after their surprise Belgian comeback. All of these draws are going to have to start turning into wins if Arsenal want to spend 2015 talking about Champions League qualification. We're at a point right now where 4th place West Ham and 18th place Newcastle are separated by just six points. Wins are at a premium. Three points are vital. for doing so leaves him suspended this weekend. Well, the good news is that this list hasn't really changed all that much since midweek, unless someone picked up something in Anderlecht that I am, at writing time, unaware of. Danny Welbeck was limping around a bit, but that's all I can think of to be concerned about. Because Arsenal are really good at getting bookings this year, Jack Wilshere will serve a one match ban for yellow card accumulation; it's really quite insane that Arsenal have now had two players pick up five domestic bookings since it's not even November. Calum Chambers will return to the XI, though whether he starts at right back or center back is Arsene Wenger's call. Given how uncomfortable Nacho Monreal has looked in the center, I'd really prefer Chambers in the middle and Hector Bellerin at right; I predict Arsene Wenger will side with experience, however. Mikel Arteta still has not made an appearance since his calf injury, though I do believe he's available, so whether Mathieu Flamini retains his starting position remains to be seen. Wilshere's suspension and Mesut Ozil's injury means if Arsenal continue to play a 4-1-4-1 (God, why?!?) it'll be Aaron Ramsey and Santi Cazorla centrally. As for the wide positions, I don't expect Theo Walcott to be ready to go yet; we'll need at least a cameo appearance from him off the bench before I start predicting him in the starting XI. Alexis Sanchez should start on one side, though which side remains to be seen. 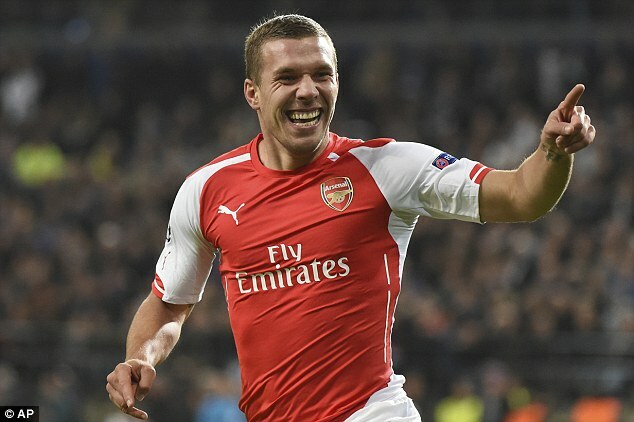 I'm curious as to what Lukas Podolski will have to do to get a start; the last remaining question in the XI would be whether you start Poldi or Alex Oxlade-Chamberlain. I'd love to see the nod go to Poldi, but for the sake of safe predictions, I'll slide the Ox in there and see if I'm pleasantly wrong. Predicted XI: Szczesny, Chambers, Mertesacker, Monreal, Gibbs, Flamini, Ramsey, Cazorla, Alexis, Oxlade-Chamberlain, Welbeck. Wait, you can bring in defenders after the window closed? The Black Cats have four injury concerns at the moment. Defender Billy Jones has made only four appearances all season and is currently out with a hamstring injury. Midfielder Ricky Alvarez, on loan from Inter, has been out for a month with a knee injury and defender Sebastian Coates, on loan from Liverpool, has a hip injury. Both are expected back in November. 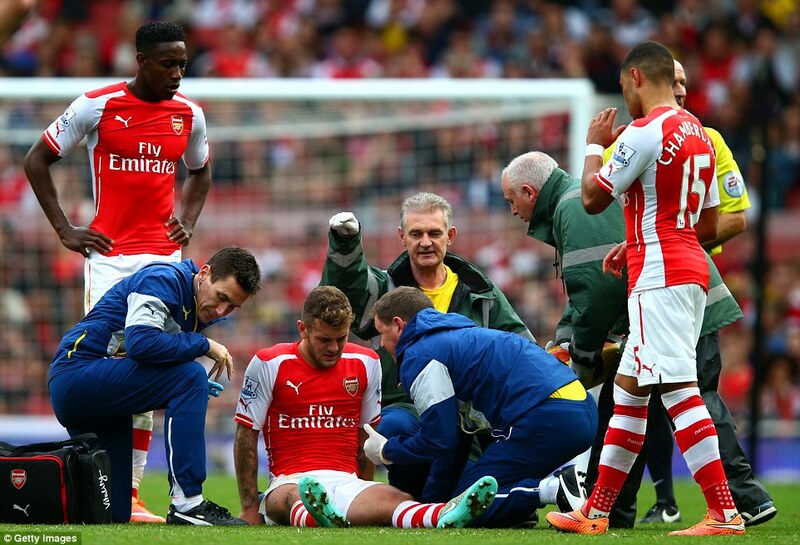 Meanwhile, Emanuele Giaccherini, who scored against Arsenal last year, is out until December with an ankle injury. Gus Poyet is highly likely to make a number of changes to his squad after they lost 8-0 to Southampton last week. Whether former Arsenal goalkeeper Vito Mannone retains his place remains to be seen; Poyet has the availability of a decent back-up in ex-Manchester City keeper Costel Pantilimon. 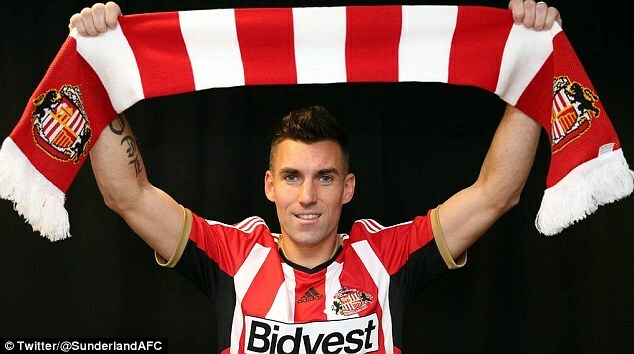 This week, Poyet signed free agent and former French international defender Anthony Reveillere. Even with that in mind, if Poyet makes changes, it's not likely to be to the back line and is more likely in midfield, where he has options like Jack Rodwell and Aaron Johnson, both of whom did not start last weekend. Jordi Gomez and Will Buckley are the two midfielders most likely to drop out of the XI. Predicted XI: Mannone, Vergini, Brown, O'Shea, van Aanholt, Cattermole, Larsson, Rodwell, Johnson, Wickham, Fletcher. Tough day at the office. The pessimist will say that Arsenal's 2-1 win over Anderlecht midweek is just paper over the cracks; the optimist will say that it's the kind of win that can galvanize the team. The opportunist will sneak past both of them to order the next drink at the bar. If you don't count the Community Shield, then Arsenal have yet to win back-to-back matches this season. After beating Crystal Palace, they drew Besiktas. After beating Aston Villa, they lost to Southampton in the League Cup. After beating Galatasaray, they lost to Chelsea. Through eight league matches, Arsenal have just two wins. The last time Arsenal had two or fewer wins through their first eight matches? 1994. Arsenal finished 12th that season. Of course, Arsenal had fewer points after eight games just three years ago, when they had 10 points from their first eight matches; Arsenal still finished 3rd that year. Sunderland's heavy loss to Southampton last week dropped the Black Cats to 17th place, though they are only three points behind 7th place Arsenal and five points behind 4th place West Ham. That's how insane the table is this season: Chelsea and City are running away with the top two, Southampton are making a strong case for being a legitimate third right now, Burnley and QPR are certainly the bottom two, and everyone else is in the middle. Prior to last week's 8-0 reverse, Sunderland had lost only once this season in the league, though that result itself remains QPR's only win. Sunderland, like Arsenal, have a ton of draws. They took a point from the Hawthorns. They took a point from United. They took a point from Spurs. They played consecutive 0-0 draws with Burnley and Swansea. They beat Stoke 3-1 just before the international break (after Stoke bounced Sunderland from the League Cup.) Then, last week's 8-0 shocker happened. happier in days gone by. Arsenal took all six possible points from Sunderland last season, winning 3-1 at the Stadium of Light in September and 4-1 at the Emirates in February. This corresponding fixture last year was played just after the September international break; it was Mesut Ozil's first match in red and white (well, yellow and blue really, since Sunderland was actually in red and white.) Ozil assisted on Olivier Giroud's opening goal just 11 minutes into the match. Sunderland, however, were level just minutes after the restart from a Craig Gardner penalty. Aaron Ramsey went on to score twice to seal the three points, though Jozy Altidore should have had an equalizer to make it 2-2 when Martin Atkinson failed to play advantage on a foul. Arsenal won the reverse fixture comfortably, with a brace from Olivier Giroud and goals from Tomas Rosicky and Laurent Koscielny to make it 4-0 before the hour mark. Emanuele Giaccherini scored a consolation goal in the 81st. Arsenal's recent record at the Stadium of Light, however, is a mixed bag. Arsenal won a nervy 1-0 there in February of 2013, after Carl Jenkinson was sent off. Arsenal had to come from behind to win 2-1 in February of 2012, with the on-loan Thierry Henry scoring the injury time winner; a week later, Arsenal played at the Stadium of Light again in the FA Cup and lost 2-0. Prior to Henry's winner, Arsenal had gone three matches without a win in Sunderland. The referee is Leicestershire-based Kevin Friend. Arsenal have seen Friend once this year and Gunners fans may recall that he didn't appear to do a very good job; he was the man in the middle for the 2-2 draw at Everton in August. During a large swath of that match, it felt like Arsenal were whistled for a foul every time they breathed on an Everton player; indeed, four different Arsenal players were booked to Everton's one. Arsenal were whistled for 18 fouls to Everton's 10. Arsenal's comeback, however, means they still have not lost a match with Friend as the referee, with four wins and three draws over seven matches. Sunderland fans are also not thrilled at the prospect of having Kevin Friend; the Black Cats lost both matches last year in which Friend was in the middle. Last November at Stoke, center back Wes Brown was controversially sent off in the 36th minute for clattering into Charlie Adam; Brown won the ball in the challenge. Stoke won the match 2-0. That was the only red card Friend showed all of last season. Friend was subsequently dropped for the next week of matches after the decision. Sunderland also, later in the season, lost 2-1 to Liverpool at Anfield with Friend as the referee.